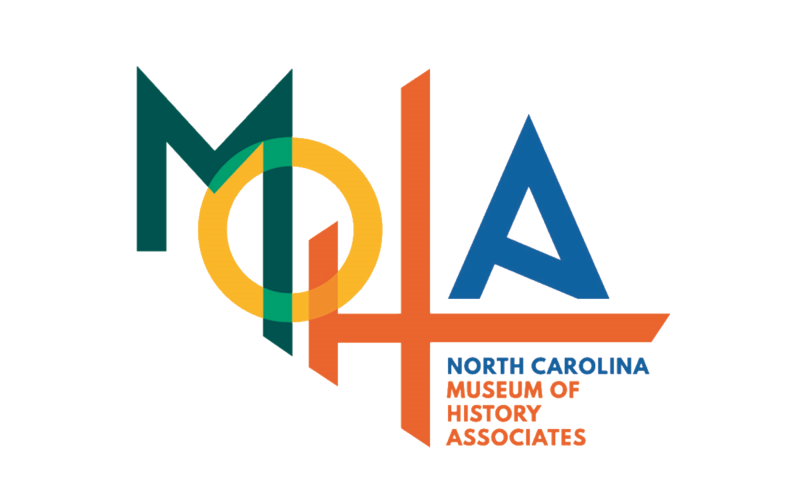 MOHA supports one of our state’s greatest treasures, the North Carolina Museum of History. Since our inception in 1975, members of the Museum have had an incredible impact on extraordinary exhibits, outstanding community and educational programming, and important artifact acquisition. This story was all inspired by the man pictured to the left, Colonel Frederick Augustus Olds. In 1883, the Raleigh News and Observer was presented with “a ponderous key” and the claim that it had unlocked a door in North Carolina’s first Capitol, a building that had been destroyed by fire in 1831. This gifted key sparked awareness for Olds, the newspaper’s city editor, and prompted him to advocate readers of his editorials—titled “Some Old Relics”—to bring him curiosities from the state’s past. It was not merely the collection of artifacts that was his passion—he also collected the stories that linked them to our past. As Olds traveled the state, he would sometimes embellish stories to bring history to life. His overall goal was to entertain and instruct—to make history interesting and exciting. The MOHA logo is a nod to Olds’ commitment to connect North Carolinians across the state. Every year, we travel from North Carolina’s majestic mountains to its sparkling coast to engage with community members near and far and to inspire the next generation of Museum supporters. Our histories are interlocked and overlapping and we celebrate our great state’s culture, community, and connection!